When you search the web and go to online forums for diabetic patients, most of them would mention milk thistle and how it helps them. A lot would claim that milk thistle has been helping them with their condition. Milk thistle or sylimarin is now believed to help manage diabetes. When you search the web and go to online forums for diabetic patients, most of them would mention milk thistle and how it helps them. A lot would claim that milk thistle has been helping them with their condition. Milk thistle or sylimarin is now believed to help manage diabetes. More studies have already been made and more researches are still being done to prove milk thistle’s effective properties for certain liver-related diseases. But before you understand how milk thistle works for the said disease, it is fundamental to first know what diabetes is, how one acquires it, and so on. Milk thistle is now one of the most widely recognized natural remedies for liver health. It has been shown in research and studies to not only protect liver cells, but also to help regenerate healthy ones. As a matter of fact, nearly every liver doctor in the USA is familiar with milk thistle. Most naturopathic physicians, nutritional specialists, herbalists and natural healing experts recommend milk thistle for their liver patients. The active component sylimarin, in milk thistle, fights free radicals that cause cellular damage. The extract also initiates the production of other compounds that have antioxidative properties such as glutathione and superoxide dismutase. In turn, glutathione detoxifies the liver. This makes the liver more effective at cleansing the body and eliminating toxic substances. To name a few of the conditions where milk thistle is usually prescribed are alcoholic cirrhosis, chronic hepatitis, drug and alcohol-induced liver damage and acute viral hepatitis, and mushroom poisoning. Milk thistle has now long been used in treating certain diseases especially that of the liver. It is believed to be very good for maintaining good liver health. It is also used for chronic diseases, including hepatitis. Recently, it is also being studied as a possible remedy for various conditions such as diabetes. One of the effective properties of milk thistle is that it is rich in antioxidants (natural substances known to knock out free radicals). In turn, many diabetes-related complications are linked to oxidative stress which is a process that results from overproduction of free radicals. Hence, studies suggest that milk thistle may aid in its treatment by protecting against oxidative stress. One study conducted at the 1st Department of Gastroenterology and Hepatology, University of Vienna in Austria worked on 170 patients with liver cirrhosis (91 of which had alcoholic liver cirrhosis). Of the patients under this study, 87 received 140 mg of milk thistle while the remaining patients received a placebo. The four-year survival rate in patients treated with milk thistle was 58% compared to the patients who did not receive milk thistle who got only was 39%. The authors reported no side effects with the ingestion of milk thistle. The authors then concluded that milk thistle appears to prolong life expectancy in patients with liver cirrhosis. Because of the studies and claims of the potential of milk thistle to treat liver disease, it is now almost inevitable to separate the two whenever one speaks of liver disease. Anywhere you go, it is most likely that people, even experts, will recommend the use of milk thistle supplements and products to help maintain good liver health and overall health wellness. There are now numerous studies on milk thistle’s potential for diabetes treatment that show favorable results. The available research includes a 2006 study (published in Phytotherapy Research), which included 51 people with type 2 diabetes. 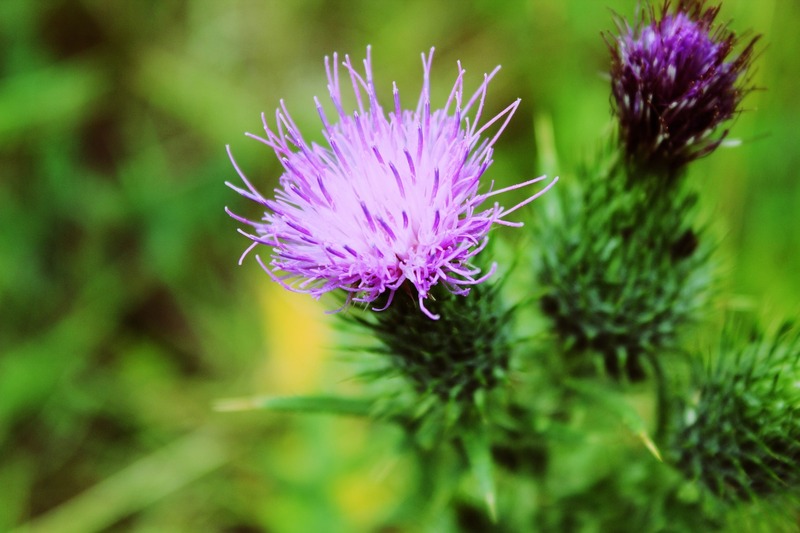 In a span of four months, participants paired their conventional therapy with either a placebo or any supplement containing silymarin (an antioxidant complex extracted from milk thistle). After the study, members of the silymarin group showed a significant decrease in total cholesterol and LDL (“bad” cholesterol) as opposed to the the group that didn’t use milk thistle or silymarin. In addition, it appeared that their blood sugar levels had been regulated. Laboratory tests also suggest that milk thistle may also help manage diabetes by treating insulin resistance. In some reports, scientists noted that both silibinin (an antioxidant found in silymarin) and resveratrol (an antioxidant available in the skin of red grapes) may help reverse insulin resistance by working against IKK-beta (an enzyme shown to disrupt insulin signalling). Scientist, H. Fallah Huseini, PhD, of the Institute of Medicinal Plants in Tehran, Iran said in their report that appears online in Phytotherapy Research, “The results are very encouraging, and now we need to do further large multi-centre studies”. More and more people who try taking milk thistle for diabetes management essentially have positive remarks too. The results of the diabetes studies and research done are also quite satisfactory. This goes to show that indeed, milk thistle promises a brighter tomorrow in the field of medicine especially if more thorough studies will be conducted.